Jedi Mouseketeer: Tyler Blackburn to return to ABC Family's hit show "Pretty Little Liars"
Tyler Blackburn to return to ABC Family's hit show "Pretty Little Liars"
JediMouseketeer.com is happy to announce that Tyler Blackburn will return to Rosewood full time in the upcoming season of Pretty Little Liars! Read the official press release below and tune-in to the spring finale of Pretty Little Liars NEXT Tuesday, March 18 at 8/7c on ABC Family! 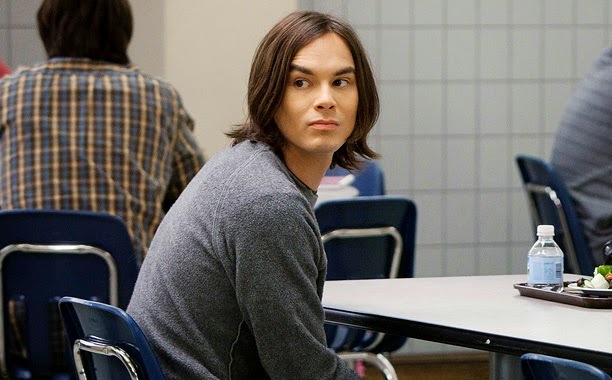 Tyler Blackburn will return to “Pretty Little Liars” as a series regular in the upcoming fifth season of the hit original series on ABC Family. It was announced today in ABC Family’s “Behind the Curtain” YouTube series. Part of the Disney/ABC Television Group, ABC Family is distributed in over 97 million homes. ABC Family features programming reflecting today's families, entertaining and connecting with adults through relatable programming about today's relationships - told with a mix of diversity, passion, humor and heart. ABC Family's programming is a combination of network-defining original series and original movies, quality acquired series and blockbuster theatricals. For 2014, ABC Family has launched the “WATCH ABC Family” authenticated service which allows viewers with participating TV subscription services access to 24/7 live viewing of the network, as well as continued on demand access to such popular series at home and on the go via a wide array of devices. ABC Family is also the destination for annual Holiday events with "13 Nights of Halloween" and "25 Days of Christmas." ABC Family. A New Kind of Family.